Nikon D850, 200mm micro nikkor lens, 1/30 sec @ F/11, ISO 200. It is no secret that I have a passion for moths. Now and then I get the opportunity to photograph something really special. Erasmia pulchella is a beautiful species found in various forms throughout Eastern and southern Asia. Its range extends from Northern India through Myanmar, Thailand, Laos and Vietnam and parts of China. There are also populations in Japan. 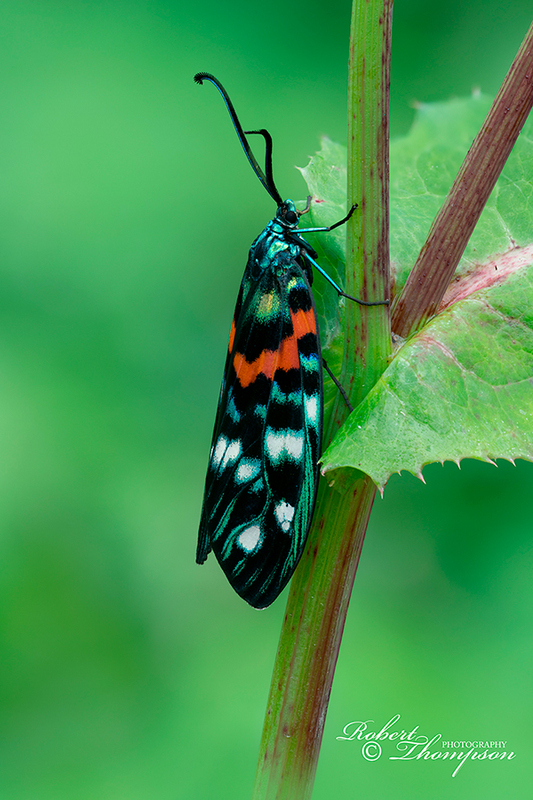 The larvae feed on Helicia cochinensis which occurs naturally in rainforests in southern Asia. 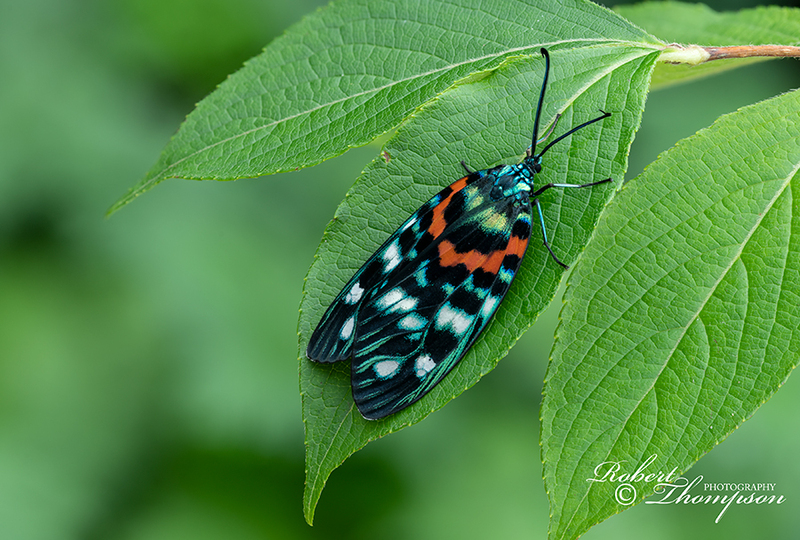 The moth belongs to the family Zygaenidae commonly known as burnet moths; the majority of which are tropical, but a number occur in temperate regions. Ten species have been recorded in the UK, but a number of these are in under threat and appear in the Red Data Book. Erasmia pulchella is quite a large species compared to those which occur in temperate regions. Like all zygaenidae, the forewings are brightly coloured iridescent in most species. Zygaenid moths are diurnal, with a slow fluttering flight and brightly coloured markings which often have a metallic sheen. Adults have a well-developed proboscis and visit flowers openly without the fear of predation. Their bright colouration is a visible deterrent to predators that they are of a toxic nature containing hydrogen cyanide throughout all stages in their life cycle. Adults usually rest with their forewings covering the hindwings.